Now available as an electronic file! 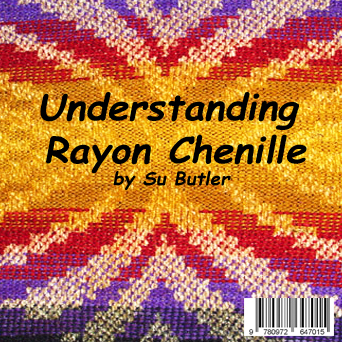 Understanding Rayon Chenille. NO SHIPPING costs!! File can be read on any device that reads .pdf files. If you missed out on the first production run, here is your chance to get this sought after book to add to your weaving library!